Before using CrystalGPS website, we request you to read the terms and conditions of the agreement below. By using the website, you are implying that you agree with all the policies of CrystalGPS website. Once you become a member of CrystalGPS website, you will automatically enter into a contract and acknowledge that you have read and accepted the agreement, which will apply to your use of our website. CrystalGPS website provides a platform for its users to meet and coordinate for business needs. We do not participate in the actual coordination that takes place between the two parties. Hence, CrystalGPS is not responsible for any dispute or fall out that may occur between two parties at any point of time. Neither we nor any third party provide any warranty or guarantee to the accuracy, timeliness, performance, completeness or suitability of the information and materials found or offered in this website for any particular purpose. You acknowledge that such information and material(s) may contain inaccuracies or errors and we expressly exclude liability for any such inaccuracies or errors to the fullest extent permitted by law. CrystalGPS accepts no responsibility for checking and verifying the accuracy of reports or data files submitted by the Visitors. Customers, who are buying or renting property or properties through CrystalGPS, must verify details the property or properties as well as its right, title, ownership, lien etc. on their own. Your use of any information or materials on this website is entirely at your own risk. It shall be your own responsibility to ensure that any products, services or information available through this website meet your specific requirements. CrystalGPS is not involved in any transaction between any parties who are using our website. There are risks, which the Visitor/Customer assumes when dealing with people and the same shall be borne by the Visitor/Customer. The website is a platform only and do not screen or/and censor or/and otherwise control the postings offered to other Visitors, nor does CrystalGPS screen or/and censor or/and otherwise control the Visitors of its service. CrystalGPS cannot and does not control the behaviour of the participants on this site. It is extremely important that the user takes care throughout his dealings with other people, users on this site. CrystalGPS does not accept or/and assume responsibility for the content or/and context of the visitor comment. The Visitor/Customer understands and agrees that any information or/and material and/or goods or/and services obtained through this website is done at Visitor's/Customer’s own discretion and risk and that Visitor/Customer shall be solely responsible for any damage/s or/and cost or/and any other consequence/s resulting from any transaction. No advice or information, oral or/and written, obtained by the Visitors/Customers from CrystalGPS or/and through or/and from the service shall be construed as recommendations and shall create any warranty not expressly stated herein. We, as a merchant, shall be under no liability whatsoever in respect of any loss or damage arising directly or indirectly out of the decline of authorization for any Transaction, on Account of the Cardholder having exceeded the preset limit mutually agreed upon by us with our acquiring bank from time to time". TO THE FULLEST EXTENT POSSIBLE BY LAW, IN NO EVENT SHALL CrystalGPS, ITS SUPPLIERS, OR ANY THIRD PARTIES MENTIONED ON CrystalGPS BE LIABLE FOR ANY DAMAGES WHATSOEVER (INCLUDING, WITHOUT LIMITATION, INCIDENTAL AND CONSEQUENTIAL DAMAGES, LOST PROFITS, OR DAMAGES RESULTING FROM LOST DATA, LOST EMPLOYMENT OPPORTUNITY OR BUSINESS INTERRUPTION) RESULTING FROM THE USE OR INABILITY TO USE ANY CrystalGPS AND THE CrystalGPS CONTENT, WHETHER BASED ON WARRANTY, CONTRACT, TORT, OR ANY OTHER LEGAL THEORY, AND WHETHER OR NOT CrystalGPS IS ADVISED OF THE POSSIBILITY OF SUCH DAMAGES. Any software made available to operate this Site and/or to download materials from it (the "Software") is the copyrighted work of CrystalGPS and/or its associates. You are licensed to use this Software on a non-exclusive basis solely for the purpose of visiting the Site and/or downloading materials from it. You may use this Software only for this purpose. Under no circumstances, you shall redistribute, sell, disassemble or otherwise deal with the Software. You assume all the responsibilities and risk for the use of this site and the Internet in general. Under no circumstances, shall CrystalGPS or its affiliates be liable for any direct, special, indirect, or consequential damages or any damages whatsoever. including but not limited to loss of use, data, or profits, without regard to the form of any action, including but not limited to contract, negligence, or other tort actions, arising out of or in connection with the use, copying, or display of the content resulting from access to or use of this site, or the internet generally, under contract, tort or any other cause of action or legal theory. CrystalGPS believes the entire content to be accurate, complete, and current, to the best of its knowledge. Under no circumstances, shall CrystalGPS make any warranty as to the accuracy, completeness or currency of the content. As such, it remains your sole responsibility to verify any information before relying on it. However, CrystalGPS agrees that the content of this site may include technical inaccuracies or typographical errors. From time to time, changes are made to the content herein. If CrystalGPS terminates a user’s membership, he/she will not have the right to re-enrol or join the website under a new account or name unless formally invited to do so. In any case of termination, no membership charges will be refunded. Users acknowledge that inability to use the web site wholly or partially for whatever reason may have adverse effect on its business. Users, hereby, agree that in no event the web site shall be liable to the users or any third parties for any inability to use the web site (whether due to disruption, limited access, changes to or termination of any features on the web site or otherwise), any delays, errors or omissions with respect to any communication or transmission, or any damage (direct, indirect, consequential or otherwise) arising from the use of or inability to use the web site or any of its features. By user, CrystalGPS implies any individual or business entity/organization that legally operates in India or in the other countries. Our services are available only to those individuals or companies who can form legally binding contracts under the applicable law. Therefore, all users of CrystalGPS com must not be a minor as per Indian Law .i.e. user(s) must be at least 18 years of age to be eligible to use our services. By registering to the CrystalGPS Website and providing your email/mobile number, you expressly agree to receive promotional content from CrystalGPS , by mail/email or SMS, from time to time. 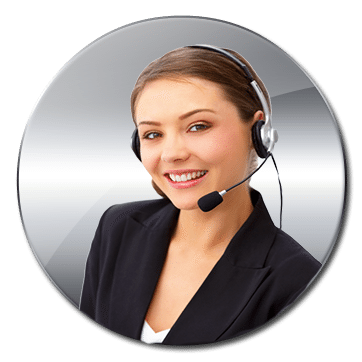 If you provide CrystalGPS with your phone number (at any stage of use of the Services), CrystalGPS shall be entitled to call you or send you promotional SMS notices from time to time. If you wish not to receive such promotional content / notices, you may notify CrystalGPS at any time. All other information submitted to CrystalGPS during the registration process is true, accurate, current and complete. For purposes of this provision, a branch or representative office will not be considered a separate entity and its principal place of business will be deemed to be that of its head office. You agree not to resell or assign your rights or obligations under these Terms. You also agree not to make any unauthorized commercial use of CrystalGPS. Some of the content displayed on the website is provided or posted by third parties. Users can post their content on some of the sections/services of the web site using the self-help, submit and edit tools provided at the respective section. Users may need to register and/or pay for some of these services. CrystalGPS in such case is not the author. The content here is contributed by anonymous, registered or paid user. Neither our website nor any of its affiliates, directors, officers or employees has entered into sale agency relationship with such third party by virtue of our display of the Third Party Content on the website. Any Third Party content is the sole responsibility of the party who has provided the content. We are not responsible for the accuracy, propriety, lawfulness or truthfulness of any Third Party content, and shall not be liable to any user in connection with his/her reliance on such Third Party content. In addition, we are not responsible for the conduct of user’s activities on the web site and shall not be liable to any person in connection with any damage suffered by any person as a result of any such user's conduct. There shall be no cancellation of payments made via online payment (except for payments through Cheque / Demand Draft). Cancellation requests for orders placed via Cheque/ Demand Draft can be made only before such payment is realized by CrystalGPS. In case CrystalGPS receives a payment for a failed transaction, CrystalGPS shall refund the same. However, CrystalGPS offers no guarantees whatsoever for the accuracy or timeliness of the refunds reaching the Customers card/bank accounts. Such refunds involve the multiple organizations where CrystalGPS does not have any control; CrystalGPS shall reserve the exclusive right to cancel any content whatsoever from being published or reflected on its website or in any other mode. The payment of refunds for this shall be at sole discretion of CrystalGPS. CrystalGPS is not obliged to make any refund under whatsoever circumstances. While CrystalGPS shall take all reasonable efforts for data backup and business resumption, you will be solely responsible for retaining back-up copies of all information, photographs and other materials furnished/submitted to CrystalGPS.CrystalGPS may also suspend the operation of CrystalGPS for support or technical up gradation, maintenance work, in order to update the content or for any other reason. Your use of this website and any dispute arising out of such use of the website is subject to the laws of India or other regulatory authority.